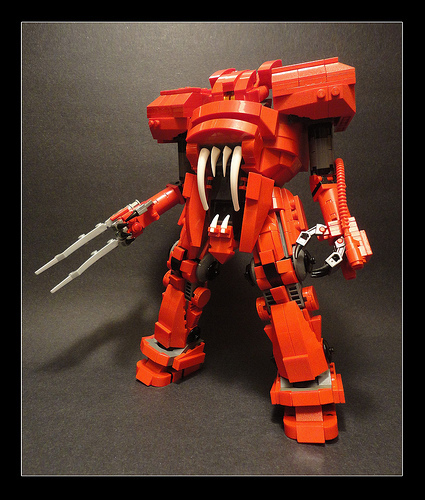 While many of us lately have been admiring Nathan DeCastro‘s excellent real-world starfighters for TR’s contest, he’s also been posting some really great mecha. This one has a face you wouldn’t want to encounter in a dark alley. All of these are amazing. Simply love the way the teeth and face add so much life to the mechanics. My particular favorite is the white skull mech.